Celebrate the arrival of spring with Coconut Macaroon Cupcakes topped with dark chocolate, toasted coconut and whipped cream. 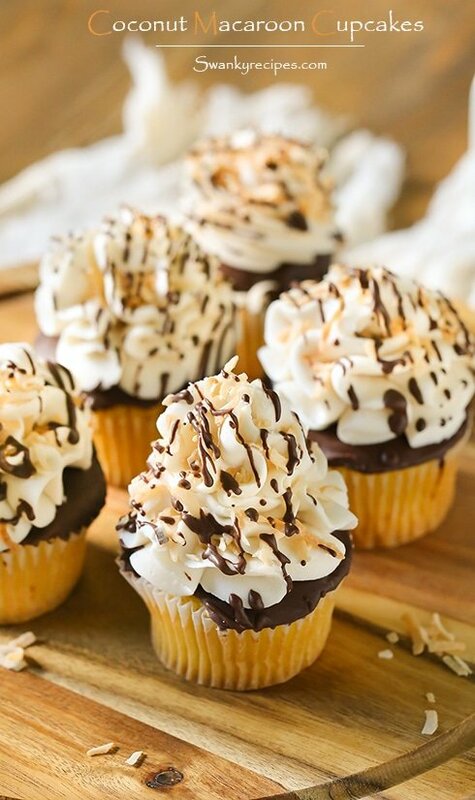 Dark chocolate and coconut compliment each other and this cupcake is a perfect example of it. Coconut Cupcakes are the classic springtime dessert. I grew up eating this classic dessert and look forward to baking it when it starts to heat up outside. Every year, our family gets together to make a variety of coconut desserts that are perfect for the spring holidays. These cupcakes aren’t your typical cupcake because they’re made with less added sugar. I’ve swapped out traditional sugar and replaced it with SPLENDA® Naturals Stevia Sweetener. The result is just as delicious with a super moist and flavorful cupcake made without sacrificing any flavor! Everything about this cupcake screams spring’s arrival. It’s such a timeless classic recipe served all over the country. These cupcakes are great to enjoy outside under a fan on the porch with a tall glass of iced tea. I like to serve them for Easter and it’s always on the menu for Mother’s Day. The cupcake itself has a balanced taste of coconut without being too overbearing. The perfect amount SPLENDA® Naturals Stevia Sweetener is added to give a natural flavor that will quickly become a favorite. In fact, this cupcake base can be made with a variety of recipes. I love to add diced strawberries or raspberries to the top during the summer months. 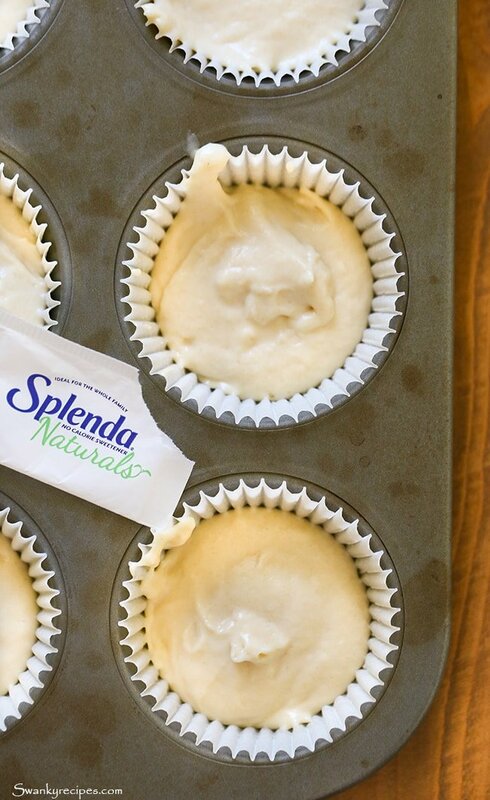 Swapping sugar for SPLENDA® Naturals Stevia Sweetener is easy. The package comes with a conversion guideline and tips on how to appropriately use the product. Baking and cooking with stevia is not as challenging as some home cooks make it out to be. It is much sweeter than sugar and therefore, less volume is used. What I love about this product is that it’s a natural sweetener made with no artificial ingredients. This year, I’ll be making recipes that incorporate SPLENDA® Naturals and Sweetener Products. Be sure to check back for more recipes in the future that use less added sugar. What are some of your favorite spring treats to make? 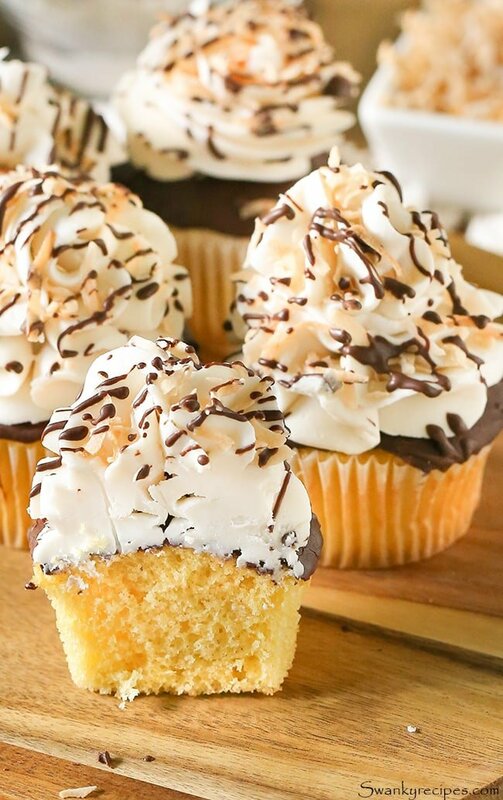 Coconut Macaroon Cupcakes - Celebrate the arrival of spring with Coconut Macaroon Cupcakes topped with dark chocolate, toasted coconut and whipped cream. Preheat oven to 350 degrees F. Add cupcake liners to muffin tin pan; set aside. Cream butter and SPLENDA® Naturals Stevia Sweetener in a mixer on medium-high for about 2 minutes. Beat in egg, vanilla extract and coconut extract. 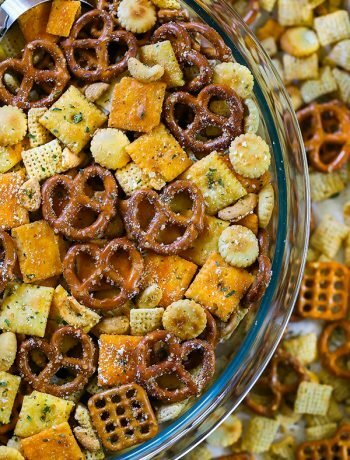 Mixture will be clumpy. Wipe down sides of bowl with spatula. In a separate bowl, whisk together flour, baking soda, baking powder and salt. Alternate adding dry ingredients and milk to mixer, beating on low speed. Pour batter evenly into cupcake liners, filling it 3/4 full of batter. Bake for 15 minutes or until a toothpick inserted into the center of the cupcake comes out clean. On low heat over the stove top, melt 1/2 cup dark chocolate chips. Dip each cupcake into the chocolate or use a spoon to spread it on top. Allow to cool for at least 2 hours. Meanwhile, preheat the oven to 325 degrees F. Line a baking sheet with parchment paper. Evenly spread coconut flakes into a single layer. Bake in oven for about 5-7 minutes, flipping flakes to evenly brown; set aside. Add cream to mixing bowl and beat on high with whisk attachment. 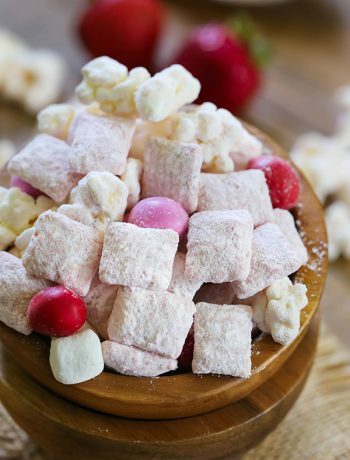 Add in 1 packet SPLENDA® Naturals Stevia Sweetener and 1/2 teaspoon meringue powder. Beat until soft peaks form. 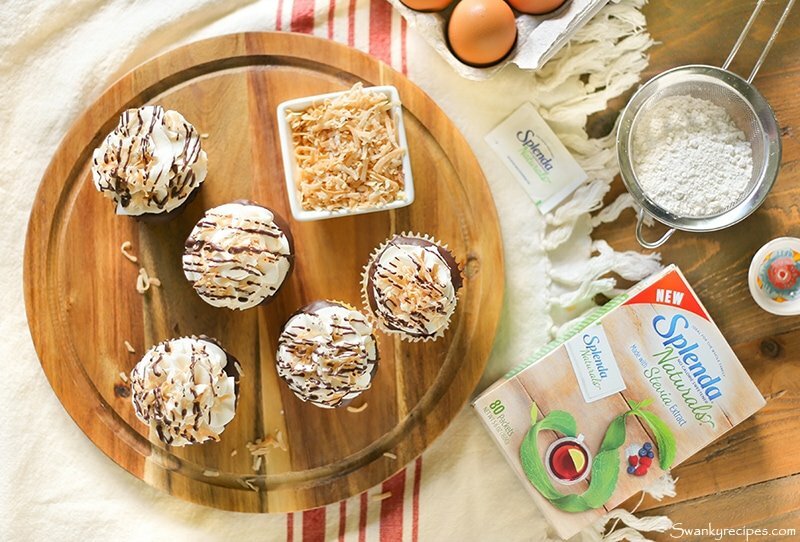 Frost each cupcake and top with toasted coconut flakes. What a fabulously looking cupcake! coconut, dark chocolate are two of my favorite ingredients when it comes to sweets and treats. The coconut whipped cream topping looks rich and delicious. Love it! Oh gosh, that topping is making me drool all over my keyboard! These cupcakes look absolutely amazing! These look very pretty and full of flavour. I’ve not tried baking with sweeteners much but it clearly works really well! These cupcakes look absolutely gorgeous! I love the topping and drizzle. Such a great use for Splenda. 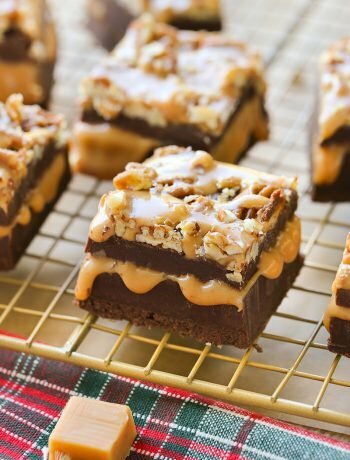 Oh my Jessica these look amazing! I love all things coconut during the spring so these are calling my name! coconut and chocolates; what not to like?! This looks and sounds divine. Hi! I would love to make these for my Mom, she loves coconut, however she is allergic to any sweetener that isn’t sugar. Something in them causes her mouth to swell. Do you know how much sugar would go into the spots where the Splenda is? Beautiful! For those of us who are not professionals, decorating instructions would be greatly appreciated. Thanks. They are fairly large and use a lot of frosting, but it’s great for beginners to use as the design of the tips are already cut to give you that “professional look.” Head over to YouTube and type in “Russian Cake Tips” to watch a few short tutorials. To practice, try using Wilton Cake Icing, Stiff. You will fall in love with these cake decorating tips, trust me! 1 1/4 teaspoon baking powder and 1 teaspoon baking soda. I will correct it today, thanks! This recipe has two baking sodas and no baking powder listed in the ingredients. I only have granulated sugar on hand. How much would go into the cupcakes and then the frosting?